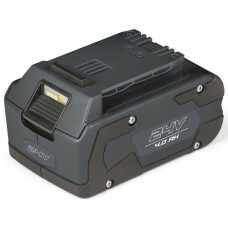 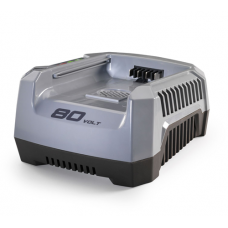 The Stiga 24v 4Ah rechargeable battery is compatible will all 5 tools in the Stiga garden machinery..
Stiga's 80v fast battery charger for the Stiga 2.5Ah, 4Ah and 5Ah lithium-ion batteries.Charging ti.. 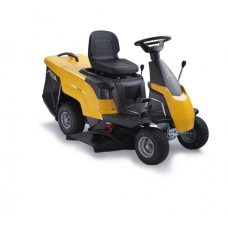 The Stiga Combi 1066H is a rear-wheeled drive ride-on mower with hydrostatic (automatic) transmissio.. 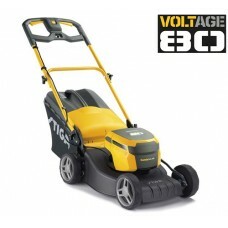 Enjoy the pleasure of mowing your lawn with Stiga's innovative new 80 Volt lithium-ion lawnmower. 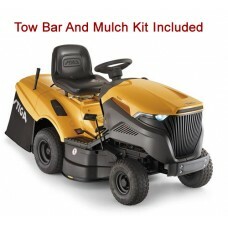 T.. 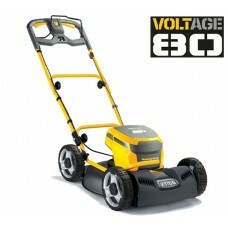 Enjoy the pleasure of mowing your lawn with Stiga's innovative new 80 Volt lithium-ion lawnmow.. The Stiga Estate 3084 H grass collecting sit on mower has a large cutting width of 84 cm (33") , hyd.. 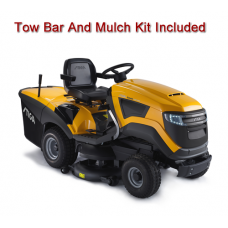 The Stiga Estate 3098H is a mid-sized garden tractor with a 38 inch cutting deck and 500 cc Briggs a.. 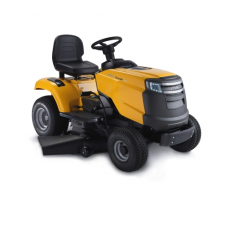 The Stiga Estate 5092 HW is a superb value, high quality garden tractor suitable for general purpose.. 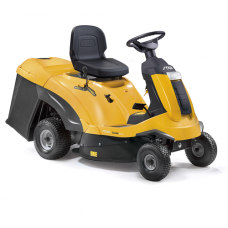 The Stiga Estate 7102 HWS is a high spec lawn tractor suitable for general purpose lawn and garden g..
For fine lawns to unruly paddocks you can be sure that the Stiga Estate Pro 9122 XWS 4WD lawn & .. 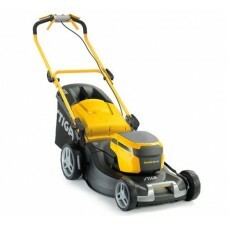 The Stiga Estate Tornado garden tractors offer an ideal solution for those gardeners who don't wish .. 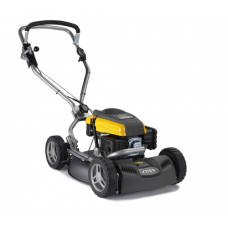 The Stiga Garden Combi 1066 HQ compact ride on lawn mower is an ideal entry level ride on for smalle.. 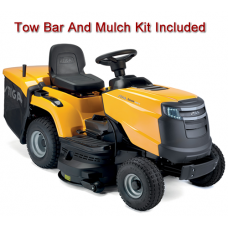 Compact lawn riders & ride on lawnmowers are designed with smaller gardens and lawns in mind, th.. 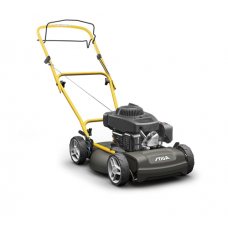 The Stiga Multiclip 47 Blue is a brilliant four wheel lawn mower for any garden. 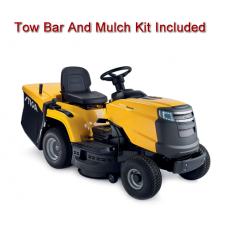 Mulching technology.. 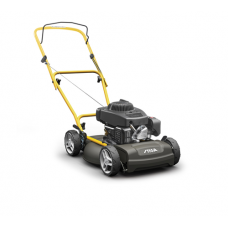 The Stiga Multiclip 47S Blue is a self-propelled four wheel lawn mower suitable for any garden. 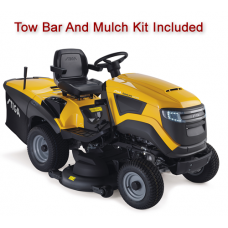 Mulc.. 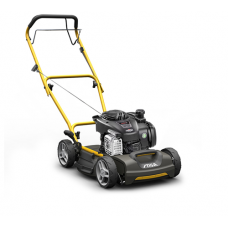 The Stiga Multiclip 47 SQB is a self-propelled mulching lawn mower driven by a petrol engine. 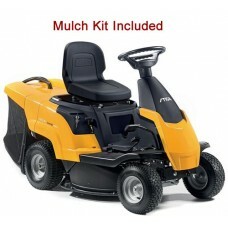 The mu..
Stiga Multiclip Plus 50S self-propelled mulching lawnmower with 19 inch cut, single speed propulsion..